Bath products may seem like an outdated or mundane gift idea, but ordinary bath products and the best luxury bath products are two different products entirely! Gifting the best spa-quality luxury products is guaranteed to result in a smile every time. With so many luxury bath products to choose from, though, how do you know where to start? Here are some of our favorite luxury bath products! 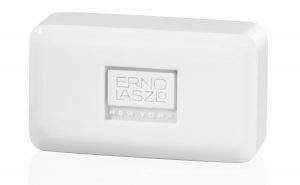 Formulated with alpha hydroxy acids that both exfoliate and prepare the skin to absorb moisture packed lotion, this luxury bar soap is cleansing and brightening. This is a luxury bar soap that is gentle enough for sensitive skin, strong enough for acne prone skin, and perfectly scented for any woman in your life. At $45, this luxury bar soap may seem pricey, but it’s consistent five-star reviews speak for themselves. 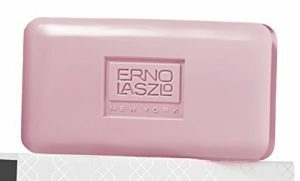 Much like the Erno Laszlo Marble Treatment Bar, the Erno Laszlo Sensitive Skin Cleansing Bar is perfect for makeup removal and daily cleansing. Formulated with particularly sensitive skin in mind, however, this sensitive skin luxury soap offers the soothing anti-inflammatory properties of essential oils making it ideal for the acne, eczema, or rosacea sufferer. 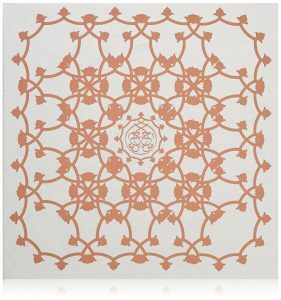 Uniquely scented, the Amouage Dia luxury fragranced bar soap offers citrus highlights and spiced base notes. Known for their long-lasting fragrance, Amouage is a creamy sudsy soap that helps to maintain the skin’s natural pH balance. The ideal complement to other Amouage scented products, this innovative scented luxury soap would make the ideal gift for the woman in your life who tends to “glow” a little more than the average woman. 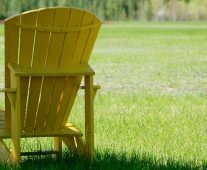 A well-known name in the luxury beauty product niche, Crabtree and Evelyn is perhaps best known for their floral scents. The light citrus scent of this moisturizing body wash combines with silken jojoba oil to make it a much more youthful and light product, ideal for the younger gift recipient in your life. Balanced to be gentle on sensitive skin and hydrating enough for dry skin, this is a great go-to luxury bath product for every woman. Even luxury bath product users need to save time once in a while which is why this hair plus body wash from Anthony brand is a great product to keep on hand. Although formulated for men, this is a great unisex product to keep in the shower because it’s subtle scent is also loved by women everywhere! Although far from the floral scents of traditional luxury bath products, the woody scent of Anthony Invigorating Rush Hair Plus Body Wash satisfies the tomboy in all of us. Whether you’re shopping for the sullen teen, the woman who simply doesn’t enjoy floral scents, or a lady with a more masculine scent preference, this is a guaranteed winner. Nourishing, refreshing, and light, this luxury body wash from elemental herbology is designed to pamper, cleanse, and soften skin. Incorporating green tea, organic aloe Vera, chlorella, and spirulina, it is formulated to feed the skin with the necessary nutrients to provide a healthy glow while cleansing and refreshing. The light grapefruit and mandarin scent are far from the overbearing scent of some heavily scented luxury bath products, making this an ideal choice for gift recipients of all ages! Well known in luxury bath product circles, AHAVA is an essential product for anyone serious about the health of their skin. This Dermud Body and Bath Salt set comes complete with a travel size luxury mineral body lotion, luxury mineral hand cream, luxury mineral foot cream, and luxury bath salts. Lauded for its anti-aging properties, AHAVA is a favorite among older generations, but the moisturizing ability of this product also makes it a favorite among those who work with their hands regularly! When it comes to luxury bath products, no list would be complete without the mention of a luxury fragrance gift set. There are certainly many to choose from but this Elizabeth Arden Green Tea holiday set is a hands-down favorite. A refreshing scent, this luxury fragrance gift set is soft enough for the youthful gift recipient, yet appealing enough for those who enjoy a longer lasting scent. Included in this luxury gift set are a green tea scented body spray, green tea body lotion, green tea luxury shower gel, and green tea scent. If you have a luxury bath product lover who is always on the go, then this luxury travel bath set from SKIN&CO is a must have. This unique bath combination set comes with truffle body gel, Sicilian body gel, truffle body milk, Sicilian body lotion, truffle therapy serum and truffle therapy cream. Ideal for anyone with dry skin but who can’t be pinned down by a singular scent, this luxury travel set offers variety as well as quality with subtle scents and natural formulations. 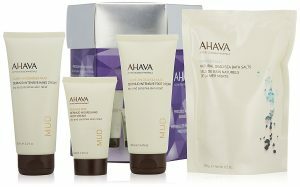 If you are limited to one luxury bath gift, body lotion is the way to go and AHAVA is a great place to start. This AHAVA Dead Sea Water Mineral Body Lotion is a moisture rich lotion with the skin soothing properties of Witch hazel and aloe vera. Perfect for all skin types, this is a long-lasting luxury moisturizer that should have a place in every woman’s bathroom. Luxury body lotion can often be too thick or heavily scented for everyone, but this Crabtree and Evelyn Rosewater body lotion is quite the opposite. Made from distilled water and rose petals this is a lightweight lotion that has a light scent to it making it ideal for gift recipients young and old. Moisture-packed and soothing, this luxury body lotion eliminates scaly elbows and knees and locks moisture in all day long. Light enough for a pre-teen scent, but classic enough for grandma, this is a timeless luxury bath product for the one you love. 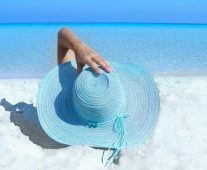 If you have a woman in your life who spends much of their time out in the sun, a luxury after-sun body lotion is the ideal gift idea. Coola is top of the line when it comes to after-sun care and uses only certified organic ingredients that are enriched with anti-oxidants. Formulated to moisturize and soothe the skin, this luxury after-sun lotion nourishes parched skin and repairs sun damage to leave skin youthful and glowing. All natural ingredients make this a go-to gift for women young and old whether they have oily or sensitive skin. Luxury skin care products seem to be a dime a dozen but when it comes to quality, ELEMIS is unbeatable. This 100% natural luxury facial oil hydrates dry skin, nourishes starved skin, and revitalizes tired skin. Concentrated superfoods promote a natural glow and smooth the complexion with clinically proven results. Whether your gift recipient is your acne prone teen or your ninety-year-old grandmother, this is a luxury facial care product that is sure to be appreciated. Luxury facial cleansing brushes seem to be crowding the market these days, but when it all comes down to it, the original Clarisonic brand is the best of the best. 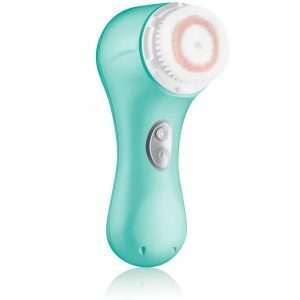 This luxury Clarisonic Mia2 2 speed sonic facial cleansing brush system is designed to clean pores of sweat, oil, and makeup while exfoliating dry skin to leave a clean and vibrant complexion. With two speeds – one for sensitive skin and another for normal skin, this luxury skin care tool is guaranteed to leave all skin softer, healthier, and glowing. Whether you are shopping for a makeup-obsessed teen or someone who knows the value of hard work, this tool belongs in every woman’s bathroom cabinet! Luxury skin therapy products that deliver on their promises can be difficult to find, but the Nia24 Skin Strengthening Complex lightweight therapy moisturizer is one of the few that does. This daily luxury skin treatment is guaranteed to firm skin, even skin tone, and smooth the complexion with its pro-niacin formula. Perfect for smoothing fine lines and lightening discolored spots, this luxury skin care treatment is ideal for any woman who has begun to notice those early signs of aging creeping in. If none of our best luxury bath products sound perfect for your gift recipient, don’t panic because there are plenty more ideas to choose from! A luxury bubble bath set makes a great gift idea for all ages with luxury bath bombs of different scents and colors. A luxury shower gel set offers plenty of assortment for the gift recipient who can’t be tagged with just one scent. Luxury bath, body, and hair sets are another multi-use luxury gift idea for that hard to buy for woman in your life! There are so many luxury bath gift sets out there that you shouldn’t find it hard locating one that fits your gift recipient to a tee! You know what luxury bath products need? You’ll need a luxury bathtub for glorious soaking and lounging. A great complement to a relaxing bath is aromatherapy using essential oils and a nebulizer. If you prefer to stand, consider a dual shower head for a more luxurious showering experience.